Jackets are expensive investment and people invest for them, but most of them refuse to do so because they don’t get the quality that they expected or if they receive an online ordered product different from the picture was shown on that specific website. 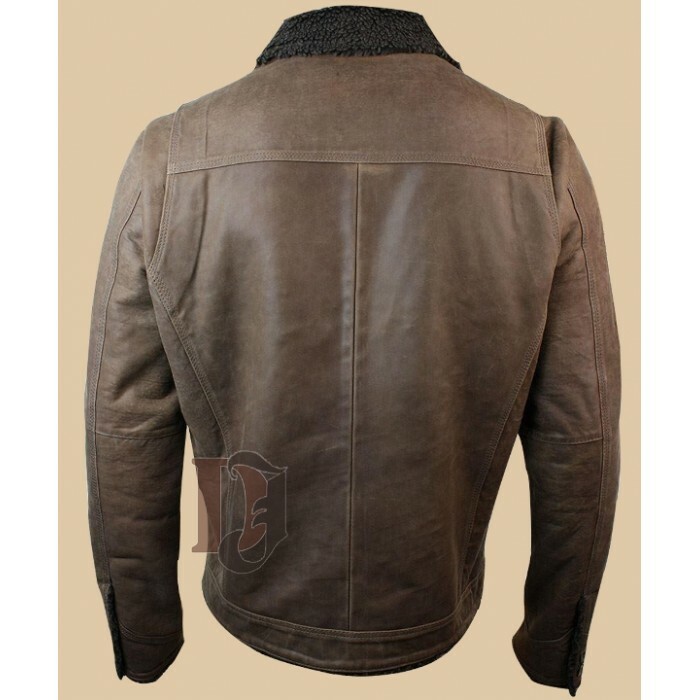 You don’t need to worry about our Men’s Tan Brown Leather Jacket Tan Brown Distressed Leather jacket because you will get it similar to the picture that you are seeing. If you like to wear celebrity style jackets then this is best jacket for you. 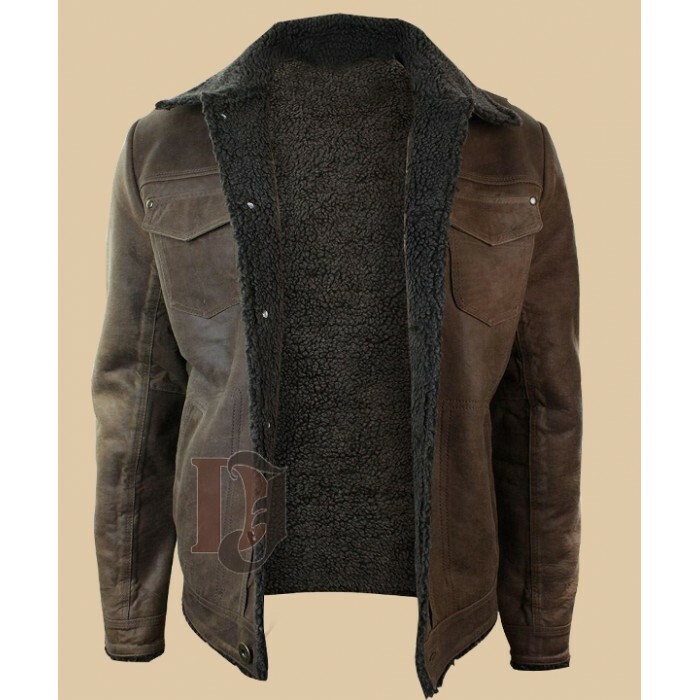 We provide our distressed leather jackets in Toronto, Paris, Washington and worldwide. 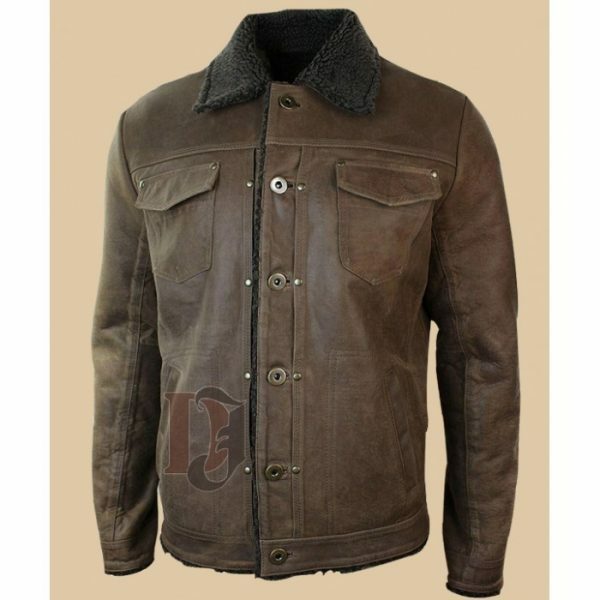 Have a look at the features of Men’s Tan Brown Leather Jacket Tan Brown Distressed Leather Jacket. This jacket have many special features but the best feature of this jacket is its stuff that was used to manufacture it. It is made out of pure leather. Brown colour of this jacket makes this jacket a stunning celebrity style leather jacket. You can use this jacket open style and close style well because of its front zip closure. This jacket have inner faux shearling fur which not only keeps you warm but also gives a soothing comfort.